Welcome to Whisperlodge, an ASMR spa for the senses. Relax as your trained guide engulfs you with brain tingles using everyday objects. We’re coming to West Palm Beach, Florida for this year’s Art Affair! Whisperlodge: Day Dream is a 45 minute sensory exploration of the subconscious—and what wonders lie beyond it. Tickets to this seated, headphoned experience are $20 (our most accessible yet)! Note: Unlike our classic Whisperlodge show, touch and one-on-one interactions will be minimal in Whisperlodge: Day Dream. 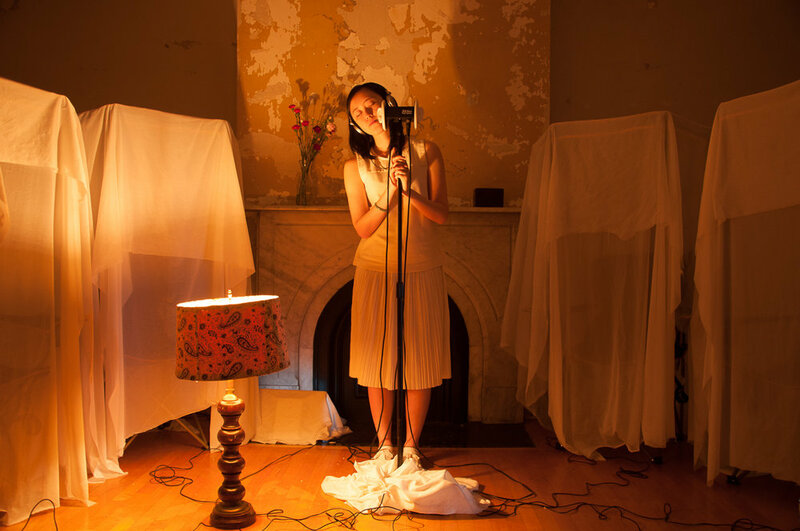 This performance is a group show focused on binaural surround sound. Get in touch with us at hello@whisperlodge.nyc. Website designed by Chia Lynn Kwa. Photography by Annie Lesser, Sherry Katopodes, Emily Kendall, and Chia Lynn Kwa. Videography by Melissa Langer and Tomson Tee. Sound mixing by Aviv Cohn.